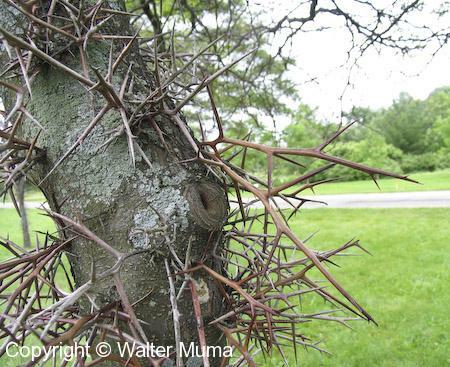  Black Locust (Robinia pseudoacacia) - Smaller, stubby thorns; seed pods are smaller. 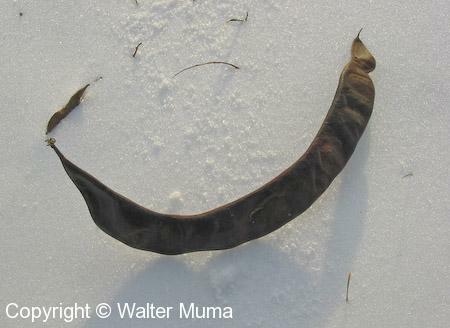  Redbud (Cercis canadensis) - No thorns; seed pods are smaller still. 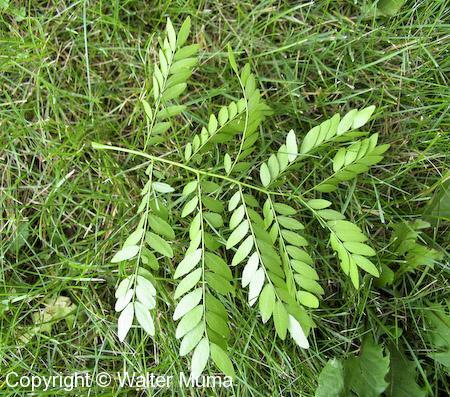 Photographs: 56 photographs available, of which 13 are featured on this page. SCROLL DOWN FOR PHOTOGRAPHS. 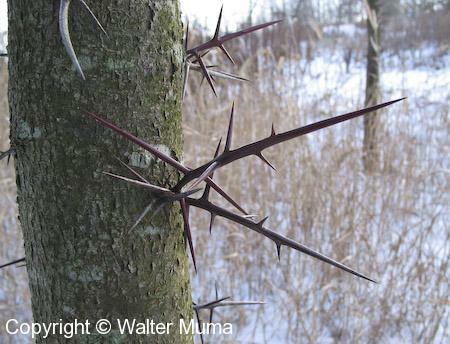 Honey Locust is easily identified by its huge wicked thorns, shown here. 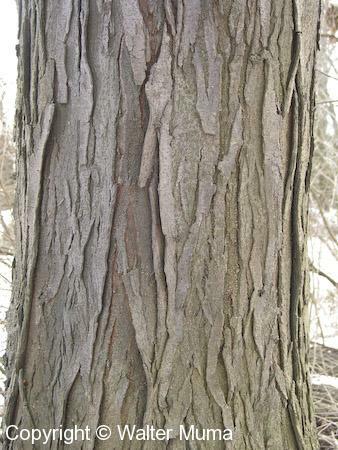 Sometimes the throns are thickly matted on the trunk. 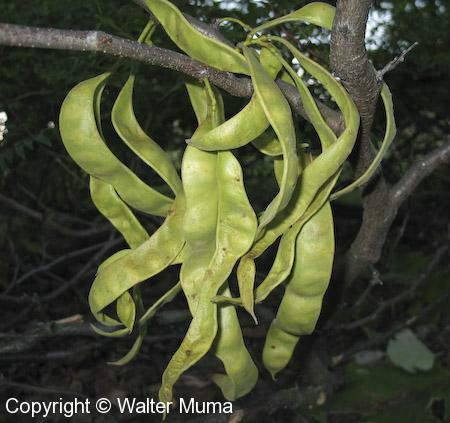 Its seed pods are also unique. Here is a bunch of unripe ones. 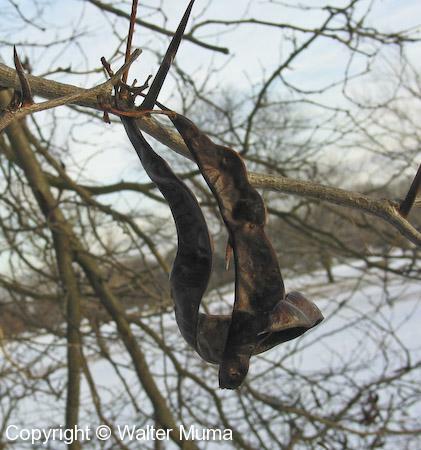 A couple of ripe Honey Locust seed pods in winter. And a photo of one laying on the snow. 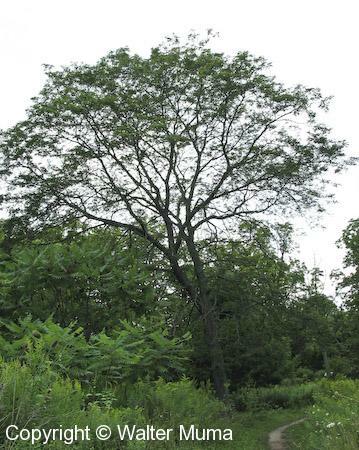 Profile of a whole tree. 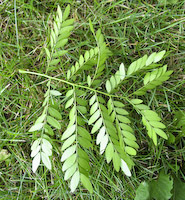 Honey Locust has a large doubly-compound leaf. 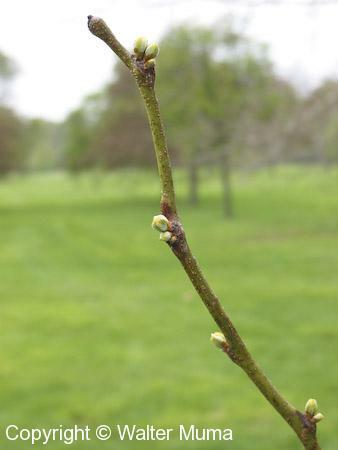 Your leaves emerging in spring. 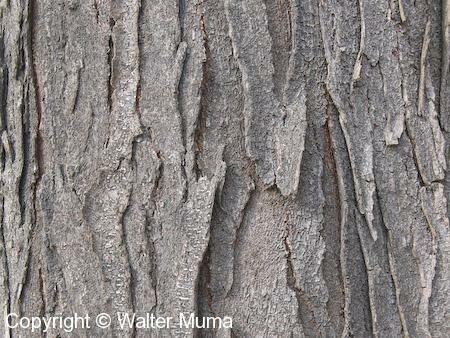 Closer view of bark on a mature tree. 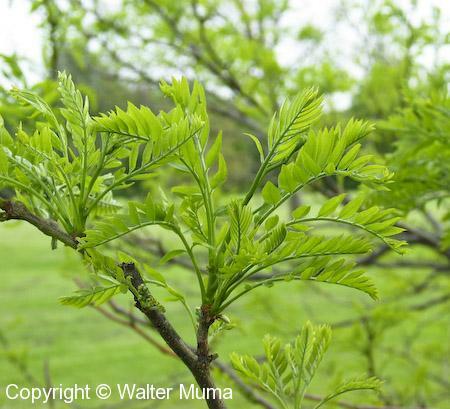 Honey Locust twig with buds, in the spring. 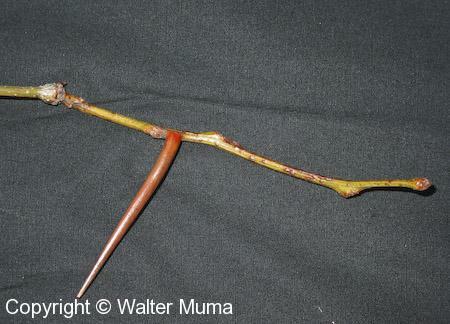 Twig with a large thorn. 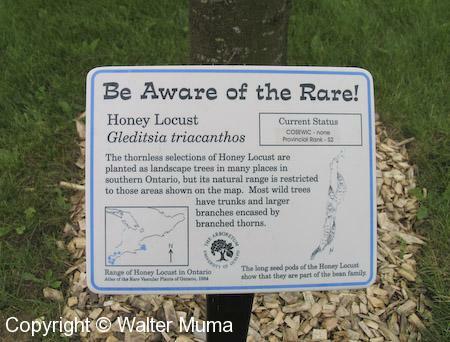 This sign indicates that Honey Locust is actually quite rare in Ontario.